Previous Post Have You Had Your Fortune Told? Next Post Has Film & Television Influenced Your Writing? 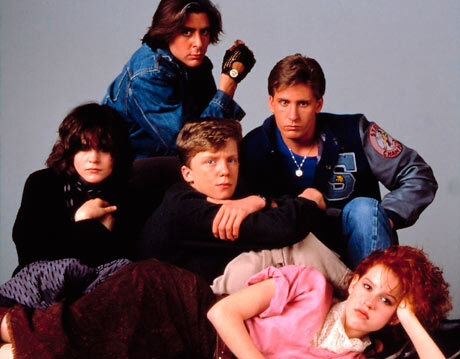 I saw the Breakfast Club when I was a teen and probably 30 times since. I loved the movie! It had the perfect cast for the time & theme of the film. I thought it was funny because I could relate to the characters & the situations they were in. Honestly, I have to say my opinion now hasn’t changed at all since I saw it back in the 80’s. I do have a teenage daughter, so I agree with the #ME TOO movement. However, what John Bender did to Claire under the desk and the harassment he gave her is just how it was in High School back then. I remember a lot of guys like that were perverted & inappropriate a lot of times, and back then females quietly ignored them or some would tell the guys off. Either way, it’s something that did happen back then, so whether it’s uncomfortable to females now, you can’t change the past! Deleting or changing the scenes now, doesn’t help the situation because then it’s like your hiding from it. You leave the scenes in as they are, so guys can see how wrong & inappropriate it is to act like that towards females, and maybe they can learn from it. Also, females see that is okay to say “NO” & speak up for themselves when it happens. The movie is a teen film then & now, so I’m sure most adults would see the film differently than teens. In my experience presently, what teens find funny, most adults don’t! It’s a cult classic that’s loved by many just how it is! Hi adp19701. I apologise for not getting back to you earlier as your comment found its way into the spam folder. I agree the cast was perfect, which helps make the movie so memorable. I also agree, you can’t change the past which is why film, like photographs, are perfect time capsules. We can look back and see things differently. I wouldn’t want scenes to be deleted as this would ruin the movie. It bugs me when you get Director’s cuts that ends up changing the entire feel of the movie and the same goes for re-makes – they’re not just the same. As I say, I never saw it when I was growing up, only seeing it for the first time as an adult and therefore seeing it from an adult perspective. I still enjoyed it though! Thanks for commenting.